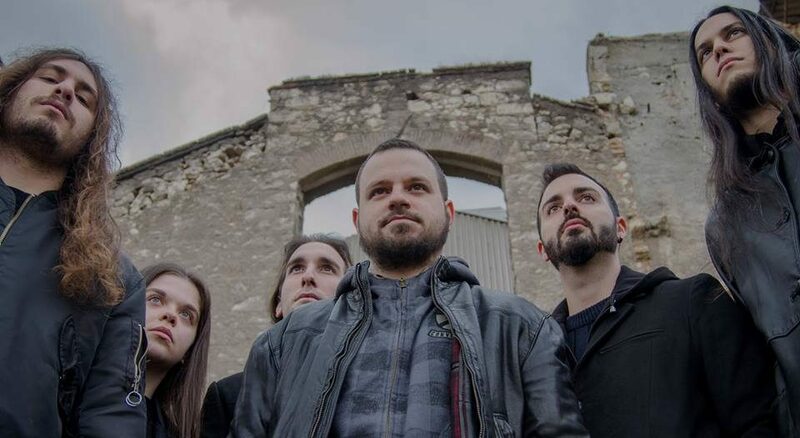 Having released their first full-length album on January 2018, OCEAN OF GRIEF bassist Giannis Koskinas takes out some of his time to answer our questions regarding "Nightfall’s Lament" and the band in general. Greetings! Given it’s the first time we get to chat, could you please provide a brief introduction of yourself? What should someone know when hearing about you for the first time? 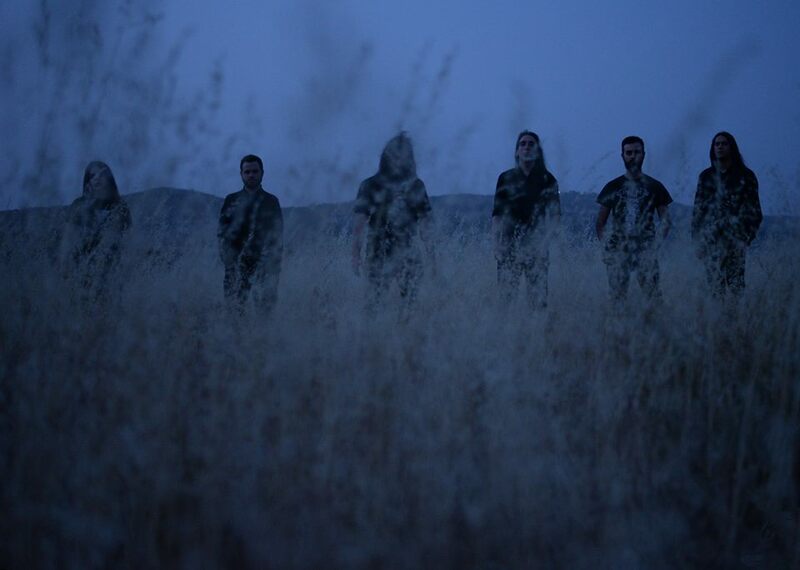 We are a melodic doom/death metal band from Athens, Greece that were formed in 2014 and so far we have released an EP entitled “Fortress of My Dark Self”, the “After a Long Time” single and our debut full length album entitled “Nightfall’s Lament”. How did you end up forming OCEAN OF GRIEF? Did you start clean slate or was it the evolution of a side-project of some sort? Before OCEAN OF GRIEF was formed, Filippos (guitars) and I were bandmates in a band called TYPHΩN. When TYPHΩΝ split up, the two of us kept exchanging ideas and composing music while having the desire to form a band again. 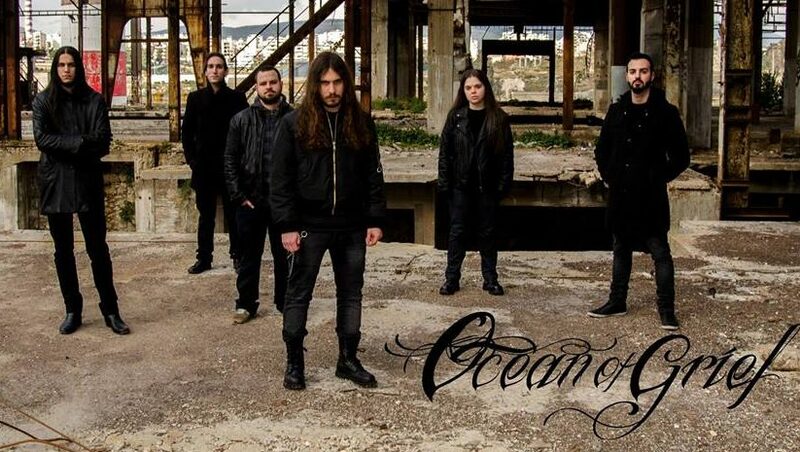 Eventually on the summer of 2014 we managed to form OCEAN OF GRIEF thanks to our former guitarist Panagiotis, Thomas (drums), Aris (keyboards) and Babis (vox) that shared the same passion with us, and started playing covers from our favorite bands of the genre. It was a little later when we started composing our own material, so you could say that we were made from zero. Back in 2016 you released your first EP entitled “Fortress of My Dark Self” which had a great reception by fans and press alike. Looking back, were would you attribute this to? Melodic doom/death metal is a pretty small subgenre. There are not many (active) bands… Some of the existing ones are great but there is a relatively big amount of bands that sound kinda harsh, even boring sometimes by repeating the same riff again and again… In my opinion it was the melodies and the whole atmosphere that attracted people. Getting praised and recognized early on definitely boosts your confidence and will to continue, but at the same time it sets the bar higher for everything to follow. Would you say that great feedback helped in staying eager and more focused on your goals? Fans’ love and acceptance help us keep going for sure! I can’t describe with words the feeling of receiving so many messages telling us that they loved what we did and they were looking forward to our new material etc. This raises the expectations for sure, but in the end I think it motivated us to try get a step higher in our next work. Fast-forward two years down the line and we break into 2018 with the release of your first full-length album. Before moving on with the details about “Nightfall’s Lament”, can you please provide a brief “retrospective” of some of the things that went on during this time? Well, on April 2016 we played on our first live gig with two amazing bands, Aetherian and Immensity. Later on May we shared the stage with Dark Portrait, and on November of the same year we released a single in digital form followed by a lyric video entitled “After a Long Time”. On March 2017 we played in one more gig and on April of the same year we participated in the Wacken Metal Battle Greek Final. Finally after that we started the pre-production process of our debut album. “Nightfall’s Lament” was released at the end of January . Can you please share a few bits of information about how that came to be? Recordings started on April 2017 with drums being recorded at Thomas’ house. The rest of the instruments were recorded at Filippos’ while vocals were recorded at Andreas Roufagalas’ (ZEMIAL) studio. Mixing and mastering were also made by Filippos. The whole process was finished by late August  and a few weeks later we signed with Rain Without End Records/ Naturmacht Productions. How did you end up working with Naturmacht Productions? Are you happy with your collaboration with them so far? When everything was ready (production, artworks, video clip, etc), we contacted some labels in order to find a better deal than our previous one. One of the labels that replied and were interested in signing us was Naturmacht Productions, which was one of our goals because of some amazing bands that were on its roster. Robert (the owner) is a great guy and we are cooperating really well while some of the bands welcomed us in the “Rain Without End family” from the very first day! What were you after by releasing this album? Does the album consists of solely new material or are there any songs from the pre-EP era? Like I said before, our goal was to make the next step on this album, as long as we enjoy ourselves of course, so all of the tracks were composed after the EP era. In fact we had composed a couple more songs but they didn’t get to the final selection. How do you work as band when it comes to composing new music? Most of the songs start from Filippos or me. For example if Filippos comes up with some ideas, he writes the basis of the song on guitar pro and sends it to me. Then I will edit or add ideas to it and send it back. This will continue until we reach to a point that we are both satisfied about how the song sounds. After that we send it to the rest of the band so that they put the final touch when they think it is needed. Unfortunately I am not the right person to answer about the lyrics… you will have to ask Babis. I’d say your music is highly characterized by a focus on internal feelings and emotions. I know it’s such a cliché question, but did everything going on with the Greek crisis had a toll on you as musicians? Haha… look, crisis plays its part in our everyday life for sure but in my opinion it is other situations that made us embrace this genre in the first place. We all have our personal burdens and music is a way to express all those things you can’t say with words. What doom metal means to you? For me doom metal is when you listen to a heavy emotionally album, that takes your mind away, makes it travel, get lost among the melodies and the atmosphere… And when it ends you can feel more lightweight. It’s like a catharsis. Influences in music are a very important aspect of identity for every band out there. Which are yours? Any favourite albums you might want to share? “Fallout” by SLUMBER and “Origin” by ENSHINE are two very dear albums to us especially because they played a huge role in falling in love with the genre for me and Filippos. Some other favorite artists are Saturnus, Draconian, October Tide, Paradise Lost, Daylight Dies and more. Are there any newcomer or bands of this era that’d you suggest to someone who likes your music? “Fallout” by SLUMBER is a must, anything by ENSHINE for sure and personally I really like NAILED TO OBSCURITY so I would recommend them too. The album has been out for about three months. Are you happy with the reception it got (and still gets)? We are thrilled by the feedback we got so far… The comments and messages we are getting are amazing, we got some awesome reviews like Angry Metal Guy’s and on top of that almost everything is sold out at the moment. I was pleasantly surprised when you released your album stream for free. That’s a common practice for new bands with a DIY mentally, but nowadays even mainstream record labels follow this approach (e.g. Metal Blade). Why did you decided to go this way? We are a new band and we want our music to reach to as many ears as possible and as fast as possible, so what a better way than uploading the whole album stream right from the start. “Nightfall’s Lament” got relesed in two types of physical formats: standard digipak and a special A5-sized digipak pressing. If not mistaken both of the versions are already sold out on your Bandcamp page. Was this something you expected to happen? Are there any plans for a re-press in the future? The A5 digipaks were limited to 100 pieces and they are all sold out. Right now there are like 20 classic digipaks on the labels site (maybe even less). It is something we didn’t expect at all and I can’t express how thankful we are about it! Currently the label is going to print another bunch of classic digipaks so there are always available for anyone to buy and in the end of the summer it will release a vinyl LP version of the album limited in 100 copies! When it comes to you as a listener, what’s your take on companies putting out all these ltd releases in a variety of differents formats (lps, 10″, cassettes, etc)? Does it make much of a difference in the end? Truth is there is a big difference! Cds, Lps, Cassettes all have a different sound quality. And although I am not that much of a collector of different formats, I can appreciate the warm sound of the vinyl for example. So in my opinion it is great that the music industry gives the chance to those who are collectors, to buy their favorite new albums in their format of choice. Back to OCEAN OF GRIEF. Looking into the future, which are your sort-term plans/goals? Have you booked any live dates? There are plans for a gig next month [May, 2018] (more details will be available soon) but apart from that nothing specific at the moment. Filippos fulfills his military obligations so it is hard to make plans right now. I know it’s kinda early to be asking such a question, but I feel I have to: are there thoughts or material for a second full-length album? Yeah of course we would love to make a new album! There are some ideas we have been working on but like you said it is too early to talk about it. That’s all on my end. Thank your taking the time to reply to my questions. Best of luck on anything you do, cheers! Thank you very much and I wish the same for your zine too!